Welcome to those who have stopped by from Vicki's blog as part of the Creative Blog Hop - and a big thank you to Vicki for inviting me to join in! Please come back next Monday to see my answers to the four questions as part of the Hop. 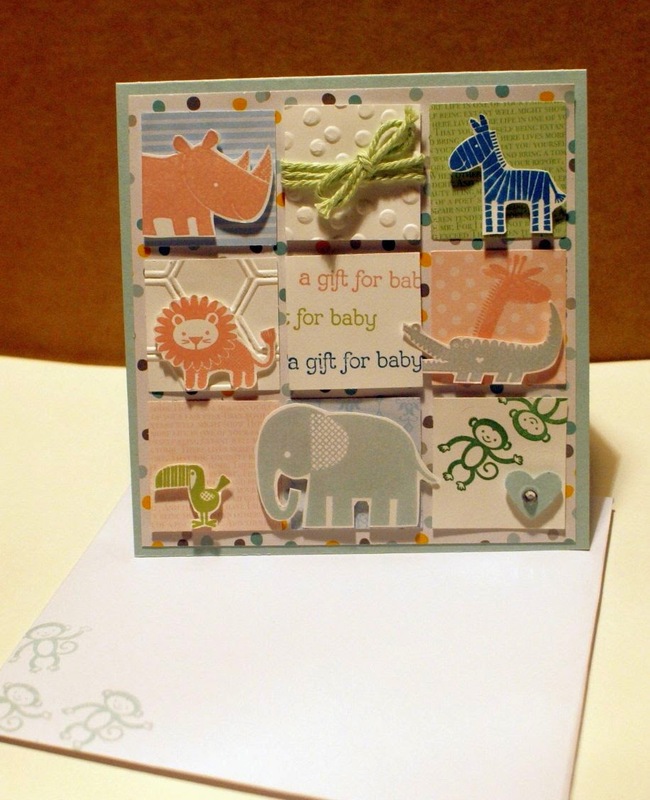 I have had the cute Zoo Babies stamp set for awhile now and had not chance to play with it till a recent class. I just love the cute little animals! They go together so well in a card with a nine square layout and of course it turned out that the crocodile got to do the honours and hold up the greeting. Wasn't that good of him? Lol! I know, I am slightly crazy when it comes to cardmaking at times and especially when I sound like I talk to my stamps. All supplies are from Stampin' Up! and can be bought from SusanSalutation's Shop. Such an adorable card! Thanks for visiting my blog Susan.